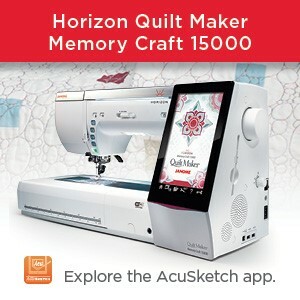 ← ARE YOU PLANNING TO ATTEND SEWING and/or QUILT SHOWS IN 2017? Not sure about you, but applique has been one of my very favourite quilting techniques for as long as I can remember…….no prizes for guessing that is why I chose the Janome Applique foot for one of the 12 Days of Best Loved Janome accessories – featured last month in our holiday blog feature. Now I DO love this Janome Applique foot AP. Seriously, I have used it very successfully more times than I can remember over the years. But I will let you into a secret: I think I would love it more if it was an open toe foot to give more visibility as I stitch. So what options do we have for applique stitching? Open toe F2 foot on left; applique foot AP in the middle and Satin stitch foot F on the right. Use the Applique foot AP foot that I absolutely love as it is short & “stubby”and therefore so much easier to maneuver around corners and on tight curved applique shapes. Check out this video. Another option is to use the Janome Open toe Satin stitch foot F2 which has a great open toe area in front of the needle for that visibility I am looking for but is a much longer foot so is not as flexible as the first option for going around corners etc. Trust me, it works, but I’m still looking for that elusive open toe, short stubby foot……..
Obviously, I needed to test sew some applique with this foot. Reason? Well this T foot is specifically designed to be used for sewing on buttons where you drop the feed dogs as you want that button to stay exactly where you put it – not moving at all under the T foot – as you sew that zig-zag stitch to secure the button to the project. So my thinking was: Would this small foot have enough traction with the fabric to feed the fabric properly and adequately as I sew around my applique shape? I am going to be very honest and say that I do think the Applique foot AP feeds better than this foot. I did have a few stitches that were too close together as the fabric did not seem to feed as well as I would have liked. However, as another option for applique stitching, it does work. I would like to point out that Amy is quite correct in what she pointed out: it does not have a groove on the underneath of the foot so we probably would not recommend this for satin stitching. However, it does work for applique/blanket type stitches. This Janome Button Sewing foot T is available for both 7mm and 9mm machine models. Please check what feet came with your machine as it is supplied as a standard accessory with some of our machines. It may also be purchased separately: Part# 200131007; Part # 200136002; OR 859811008. 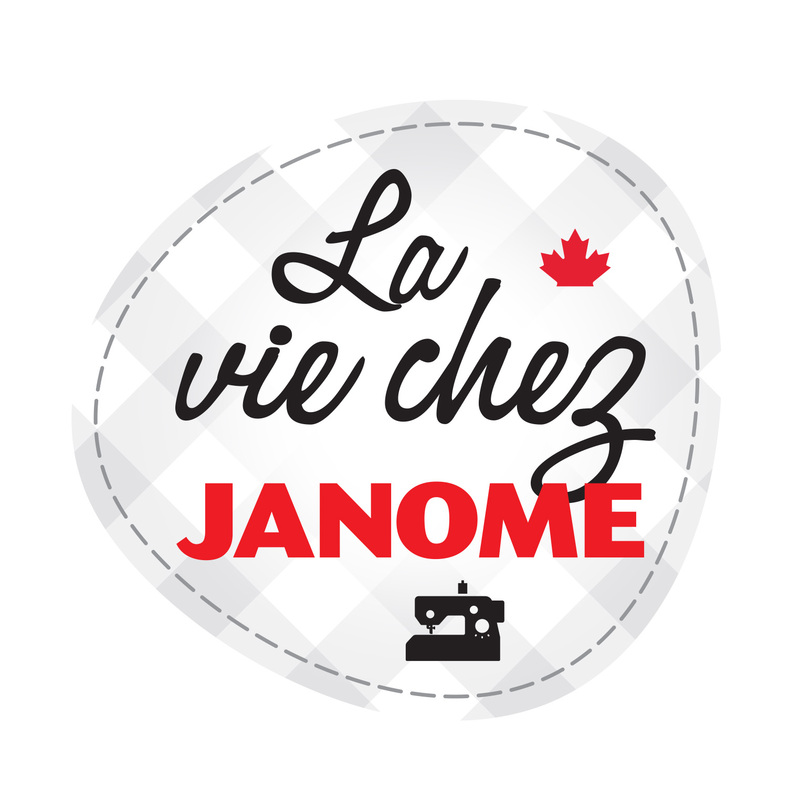 Please consult the link to our website (on the words Janome button sewing foot T) for a list of machine models showing which of these 3 part #’s is for which machine model. 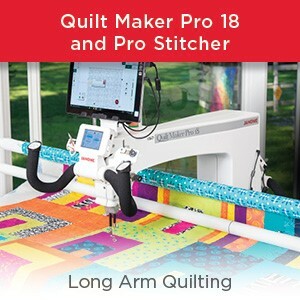 Do watch this spot for more information on Janome machine applique……hints, tips and “secrets” you may not know. 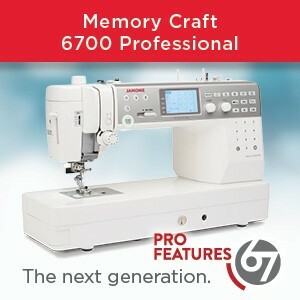 We will be offering regular posts on all aspects of sewing, quilting, serging, embroidery, software….and more. But we do have one on applique planned for next month. So stayed tuned. Sign up to follow this blog to be sure you don’t miss any posts. This entry was posted in Applique, APPLIQUE WITH JANOME and tagged APPLIQUE WITH JANOME, Janome Applique foot AP, Janome button sewing foot T, Janome Craft foot F2, Janome Satin stitch foot F. Bookmark the permalink. 2 Responses to APPLIQUE WITH JANOME……..DID YOU KNOW?? Thanks for that tip. Sure shows what can be done with what we already have. I wouldn’t have thought of using the “T” foot either.